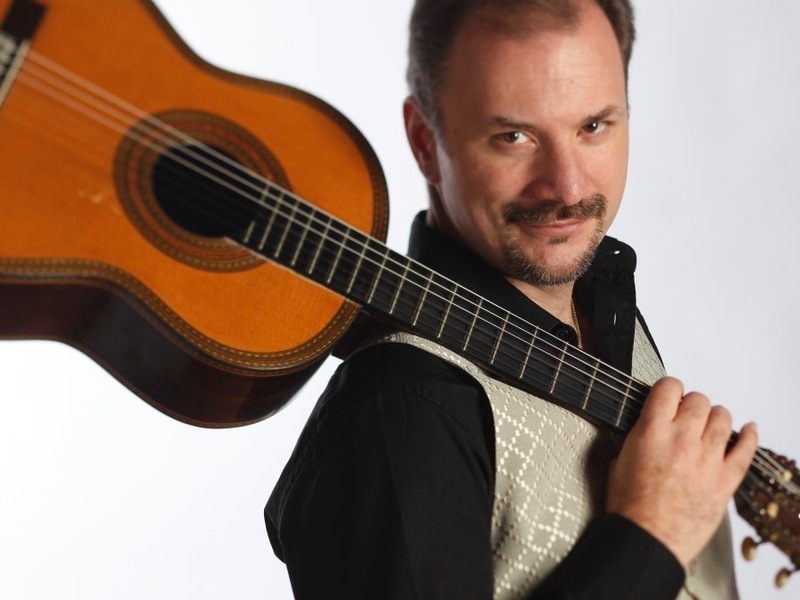 On Thursday, October 19, from noon to 1:00 pm in the Auditorium, the series will present a free concert by classical guitarist Edoardo Catemario, in collaboration with the Emory Chamber Music Society of Atlanta. The program will feature music by Erik Satie, Johann Sebastian Bach, Heitor Villa Lobos, Francisco Tarrega, Frédéric Chopin, Domenico Scarlatti, Claude Debussy, and Isaac Albeniz. Click here for the event page on our calendar with more about the performer and the full schedule for fall 2017. Thanks to gifts from anonymous friends of the series for helping to make this performance possible. A native of Italy, Catemario was born in Naples. He started his music studies at the age of five and gave his first solo recital at age eleven. He has won first prizes in national and international competitions including the prestigious Andrés Segovia Guitar Competition in Almunecar, Granada. Catemario will open Thursday’s program with music by Erik Satie, who lived around the turn of the twentieth century. Through his life and music, Satie was reacting against social conventions of his time, said Catemario, adding that he was escaping the common world through drugs. “His music reflects this world of dream,” said Catemario of Satie. The pieces by Satie on Thursday’s program are extremely fragile and full of reflection, said Catemario. Originally written for piano, they come from two works called Gymnopédies and Gnossiennes. Even Satie’s titles were dreamlike. Gnossiennes was a word made up by Satie, and though used by others at the time, the meaning of Gymnopédie is unclear. “As a matter of fact, Satie liked to make fun of the words,” said Catemario. Catemario said on Thursday he will pair Satie’s music, and other pieces with similar sounds and moods, with music whose composers were more concerned with conventions like form, melody, and harmonic progression. He said in doing this he hopes to create what he called “sentimental tension,” or using music to affect the emotions of his audience. “Performers have a great power,” said Catemario. He said over time he has learned to synthesize what he hears in the music with what people in his audience are feeling. “I recognize in the pieces the structures that can be used to create this kind of tension,” he said. Catemario compared the ebb and flow of emotional tension and release to building a series of arches, as in architecture. “This idea of balance is extremely common in Italian culture,” he said, pointing out that Italy has many arches. He said he thinks of himself as a storyteller and uses his programs to play that role. “I tell stories with the only thing I know, a collection of sounds,” he added. Paired with Satie will be a prelude and fugue by Johann Sebastian Bach. Guitar transcriptions of piano music by Romantic composer Frédéric Chopin, a nocturne and waltz, will precede sonatas by Baroque composer Domenico Scarlatti. The audience will hear music by Brazilian Impressionist composer Heitor Villa-Lobos side-by-side with that of Francisco Tarrega, a more conservative Romantic-period composer from Spain. Catemario will finish the program pairing Claude Debussy’s famous and dreamlike “Claire de Lune” with more rhythmic and dramatic music by Spanish composer Isaac Albéniz.